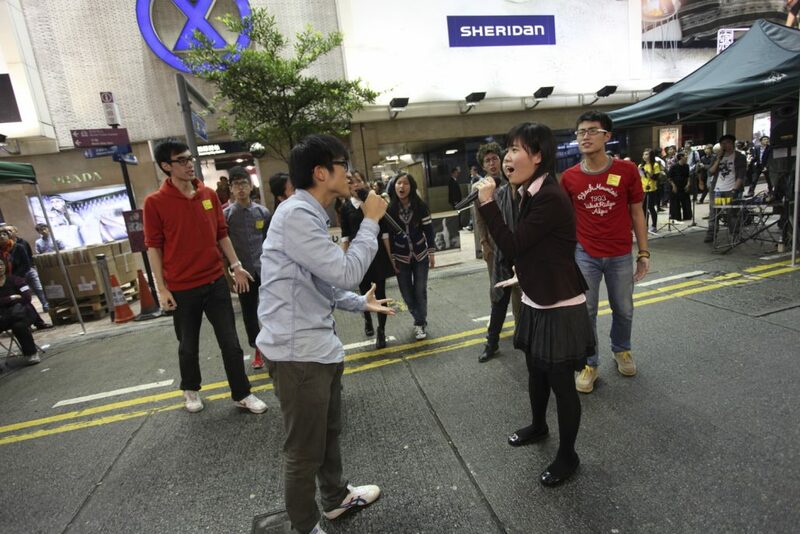 The HKVC accepted Amnesty International HK’s invitation to perform at 「反死刑音樂會」(Anti-Capital Punishment Concert?) on the streets of Causeway Bay. The HKVC performed song and dance from their musical “Like. So?”. This event presented an opportunity to closely interact with the Hong Kong community and to spread anti-capital punishment and pro-human rights messages.